Nubia didn't cut any corners when it comes to internals. 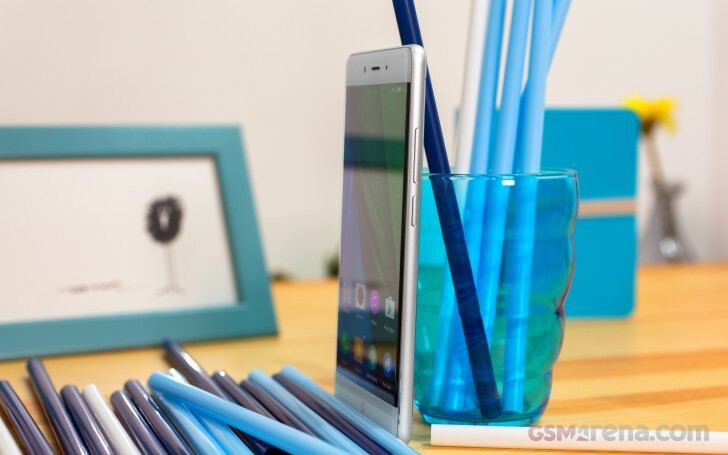 The Z11 is fully loaded and ready to brush elbows with most any 2016 flagship. It might not quite tick all the boxes, like its close relative the ZTE Axon 7, with its QHD AMOLED panel, but the top-tier Snapdragon 820 is still a shared trait. Plus, the FullHD resolution really does go a long way in boosting GPU performance. That being said, we can definitely hold the Z11 up to high standards when it comes to synthetics. Chinese OEM's like Xiaomi and Huawei are constantly pushing the envelope on cost-efficiency, so even the Z11's tantalizing price tag in the $400 to $500 ball park doesn't really give it a neck up any more. Choosing competitors to pit it up against was surprisingly easy. As already mentioned, Xiaomi's pricing has proven aggressive enough to put even the Mi5 flagship in reach. Provided, you can get your hands on one, while keeping shipping and import costs low. But even beyond Xiaomi, there are many other handset that fit the bill. The equally well-equipped OnePlus 3 instantly springs to mind. Huawei also has a wide selection of devices to offer, like the Honor 8, Mate 8 or P9, all under $500. As for more Western-friendly manufacturers, like LG with the G5 and HTC or Samsung, there is definitely a premium to be paid for flagship offers. But some of the mid-rangers that do stay within budget, still have a trick or two to impress with and don't really fall that behind the Z11 in performance. Kicking things off with an all-round benchmark, like AnTuTu, and we can clearly see the Snapdragon 820-powered Nubia Z11 hold its own. It is, however, worth noting that the Nubia seems to score a bit below its Snapdragon 820 peers in this benchmark. The differences are far from substantial, so we could easily write it off to poor software optimization. Basemark OS II 2.0 paints a pretty similar overall picture to AnTuTu. Looking at the purely CPU-based GeekBench tests, we can see the four Kryo cores inside the Z11 are pulling their weight and perform pretty much as expected. Upon closer inspection, the GeekBench 3 table does show some room for improvement. The Samsung Galaxy S7 edge, for instance, tops the chart with a good 1300 point lead, which is a notable achievement. Interestingly enough, Huawei's own Kirin chips seem to be dominating in this kind of multi-threaded loads. Much the same can be said for the deca-core MediaTek Helio x20 in the Xiaomi Redmi Note 4. Moving on to graphics, the Adreno 530 inside the Snapdragon 820 is a definite powerhouse by current standards. Combined with the 1080p resolution of the Z11, preliminary expectations were naturally high. However, the slight, but notable, performance handicap we saw in the CPU department is present in GPU tests as well. Our review unit didn't exhibit any signs of overheating during the tests, so the culprit is definitely not thermal throttling. Still looking at both the Open GL 3.0 and 3.1 tests, the Z11 consistently comes in over 7 frames behind its equally-specked competitors. Perhaps the stylish Nubia UI 4.0 is still in need of some optimization work. Onscreen rendering is where the benefits from FullHD kick in. Still, however, with those odds evened as well, the Z11 falls behind the 1080p Xiaomi Mi 5 and OnePlus 3. The performance argument still stands. Last, but not least, there is Basemark X. It is that little bit kinder to the Nubia, but, overall, still mostly singles it out for underwhelming utilization of the Snapdragon 820 and Adreno 530 GPU. All things considered, we can only make the conclusion that the Nubia Z11 is a well-spec'd underachiever. Don't get us wrong, we are well aware that synthetics rarely translate linearly to real-world performance. The Z11 is just as snappy and responsive as any other recent flagship we have tested in everyday usage scenarios. Even heavy multitasking loads can't bog it down. However, the numbers don't lie and there is definitely room for Nubia to improve the Z11's performance numbers across the board.